Dare To Wear A Gold Dress Worth $141,000? It isn’t enough to show your love by showering your lady with pure gold jewellery and accessories. If you want to go by a long shot, get in touch with Ahmet Atakan from Kahramanmaras. The Turkish jeweler has designed an outfit made entirely out of gold. Valued at about $141,000, this dress may not be the ultimate glamorous gown in terms of fashion, but it is definitely the best way to scatter about 3 kgs of gold all over your body! In an attempt to give shape to this ritzy-glitzy dress, Ahmet has put together 78,000 pieces of gold which link to form a mesh-like material. Not boasting of any more frills and trims, the gilded designer piece is nothing less than a simple sleeveless dress. However with its deep neckline and thigh-high hemline, the dress reveals more than it is expected to cover with that much gold! Till date the designer has already sold eight such outfits. Considering its exclusivity in terms of the material used and also the dare-bare style, we suppose each dress would be tailored to fit the wearer to a T. Also taking its value in account, we presume that the dress is not made out of pure gold as with the current market rates, 3 kg of gold alone would cost over $1.1 million. Daily Mail also reports that, ‘Ahmet Atakan plans to keeps producing new gold dresses with an aim to increase the number of sales to 10 in 2014’. This over-the-top priced gold gift idea is not only for diggers of gold but also for those who can dig deep in to their pockets too. 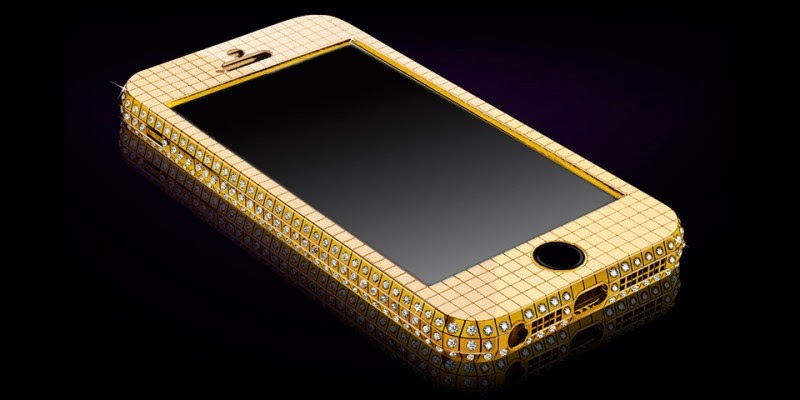 Superstar iPhone 5s is customized with 200 grams of solid 18ct. 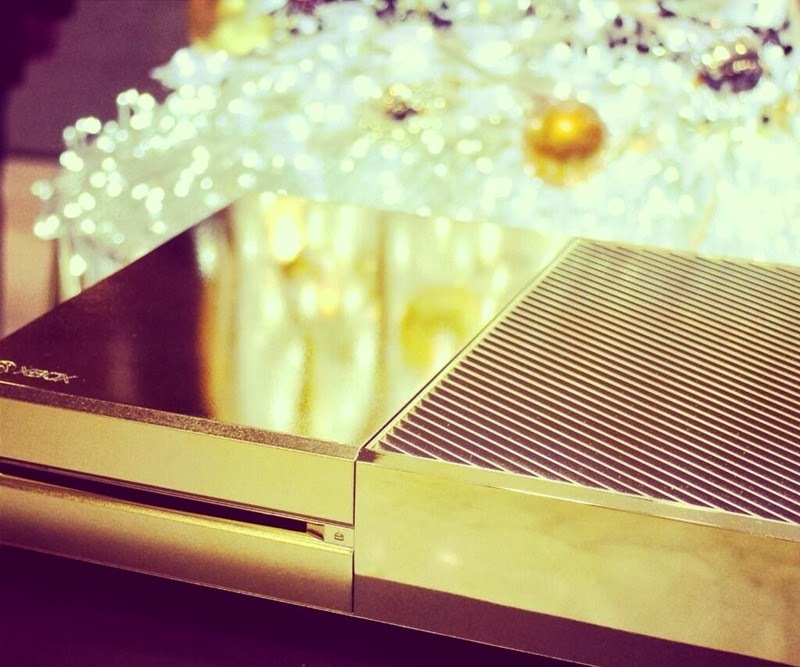 gold and priced at $78,500. 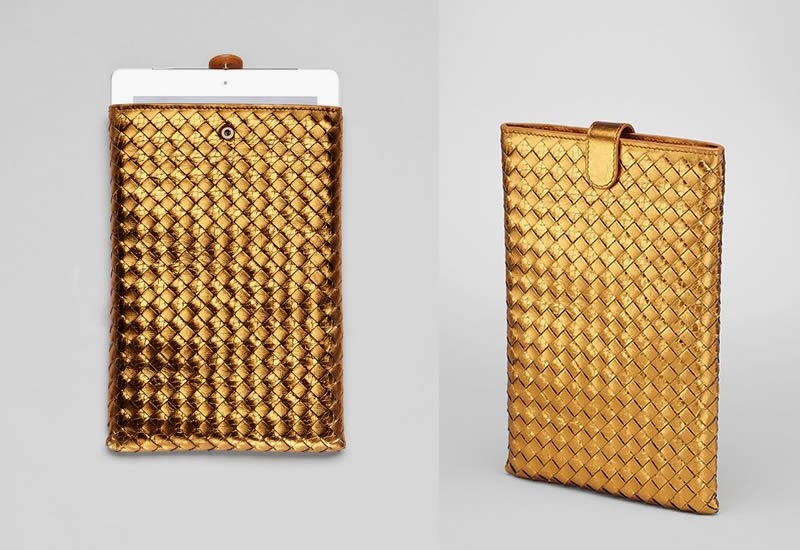 Bottega Veneta Oro Bruciato Intrecciato Ayers Mini iPad Case sports a burnt gold finish. Available for a little less than a thousand dollars ($940), it is designed to keep the tablet protected on the go by adding a touch of glow too. With the New Year celebrations just around the corner, most of the divas would have their closets stuffed with newest designer outfits and accessories to make heads turn at the 31st party. 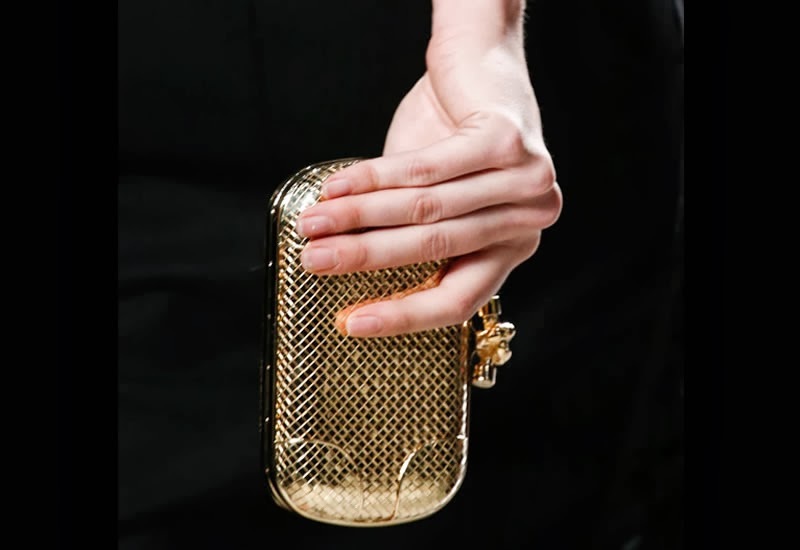 But Bottega Veneta is set to make a dazzling statement by unveiling its iconic Knot clutch in gold and diamond avatar. 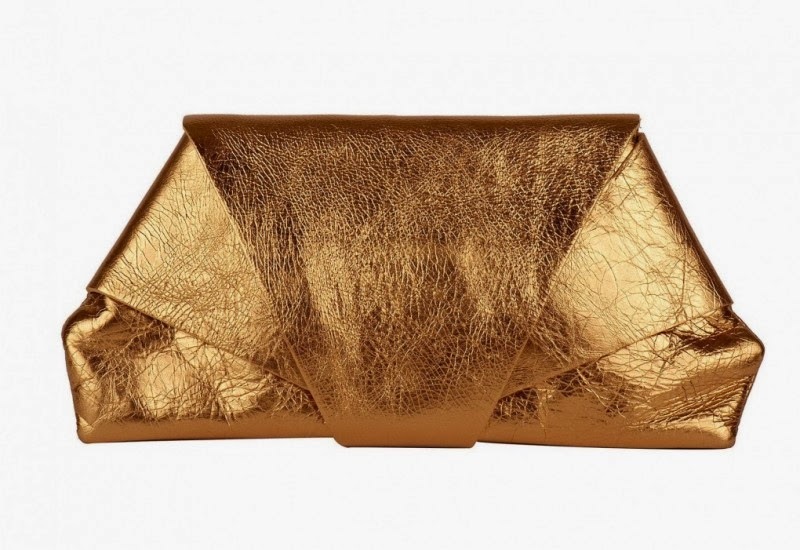 Right in time to welcome 2014 in true Midas style, the Italian luxury goods house has given a gilded facelift to the legendary evening handbag. Exclusively hand-woven in 18 carat gold, it is also available in a diamond-studded version to exemplify extravagance to the fullest. Ideal to harmonize with any haute-couture creations, this Bottega Veneta gold and diamond knot clutch will make the finest accessory for an unforgettable evening. Welcome the New Year with open arms, holding this luxurious ornamental clutch bag. Vogue states that price is on application. The Kawa Gold hand wallet is innovative and practical, inspired by the Japanese art of paper folding, and combining graphical design with contemporary shapes. Kawa is elegant and durable and comes in a subtil range of metallics and pigment colors. Closes safely with a little snap on the back and has one inside pocket. Made of luxurious materials by French craftsmen. Cost is about $100. OMG, look at that dress! I also have a brown complexion, and GOLD is my favorite... it gives you a special glamour, and confidence.